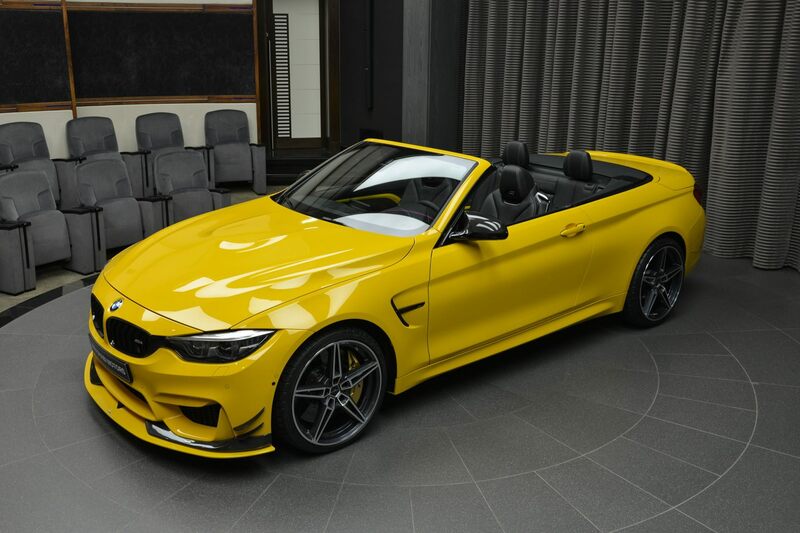 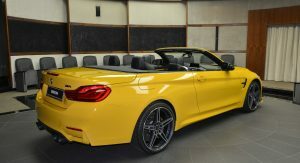 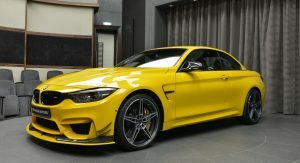 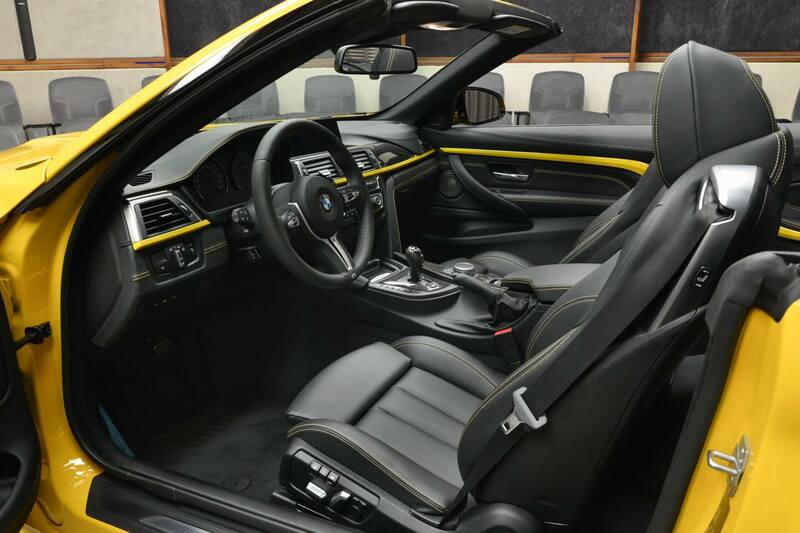 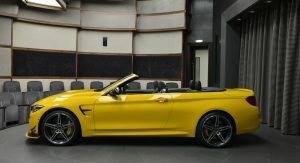 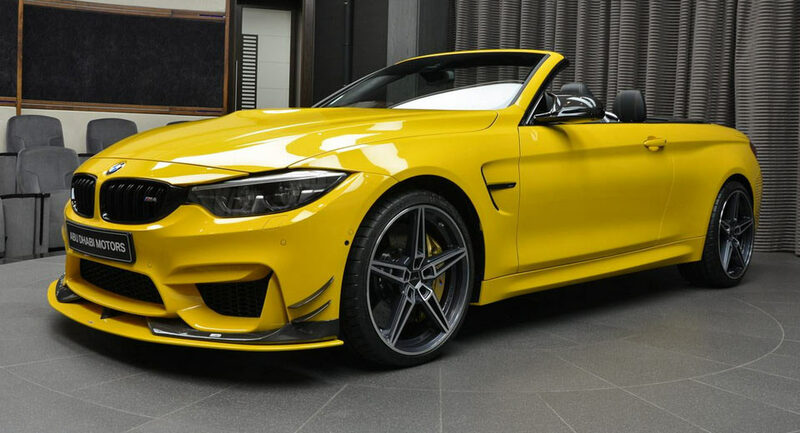 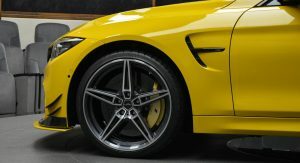 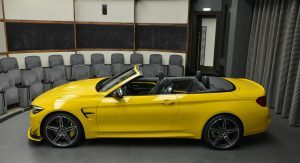 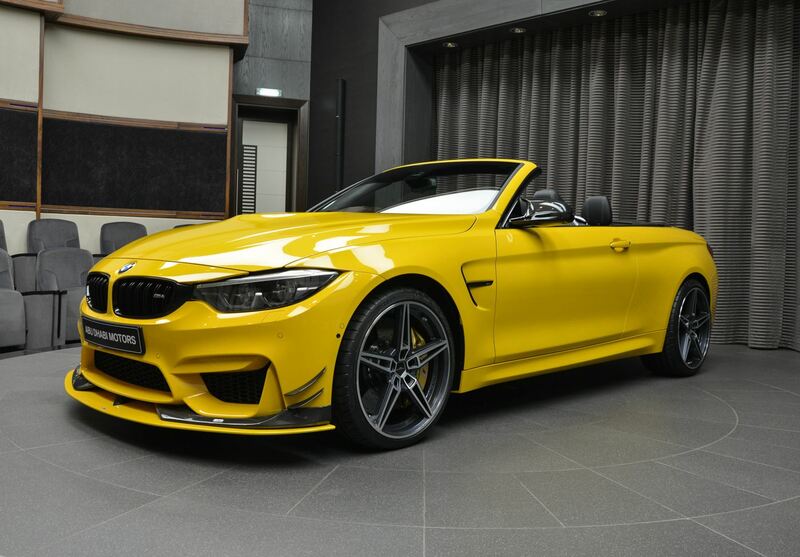 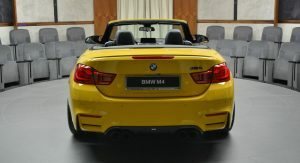 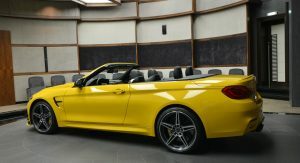 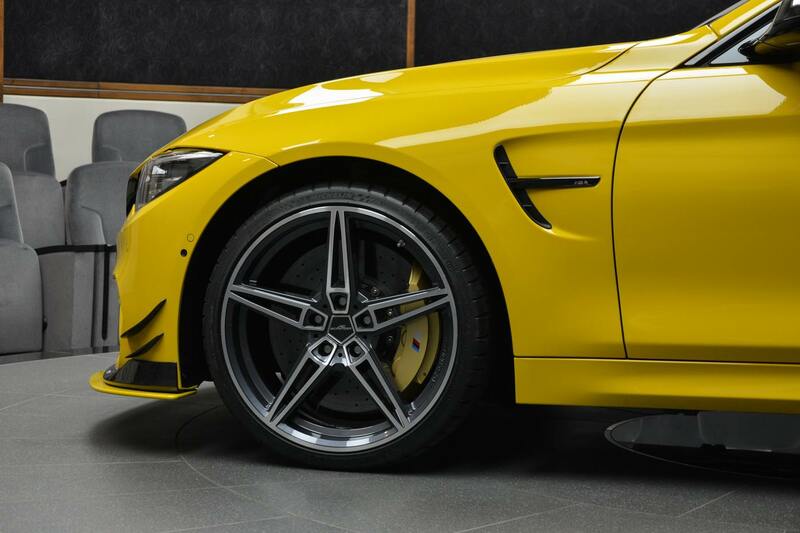 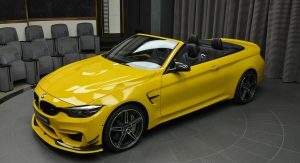 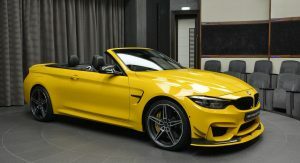 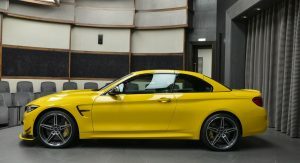 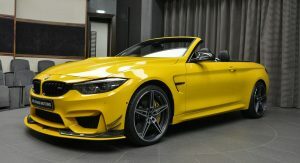 Even though a Speed Yellow BMW M4 Convertible is precisely the type of car that gets noticed around town, someone wanted to take things even further and add a bunch of custom bits from tuner AC Schnitzer. 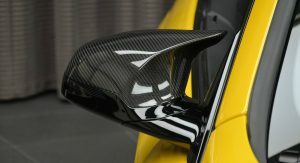 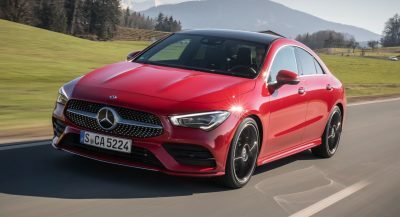 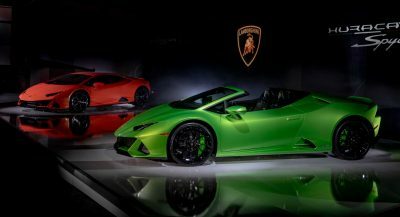 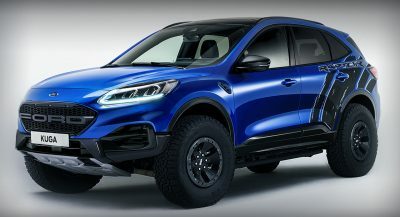 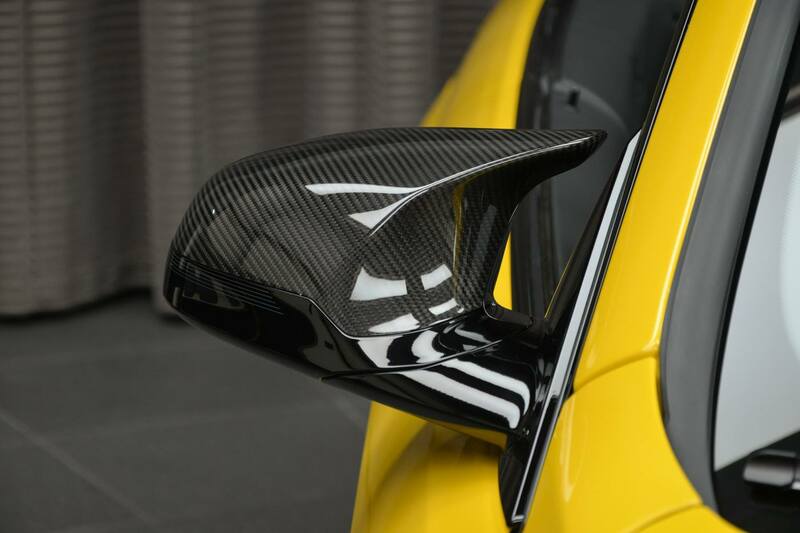 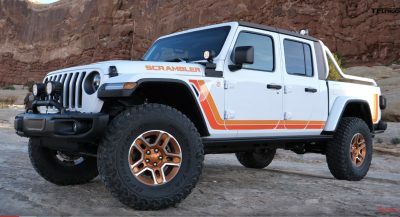 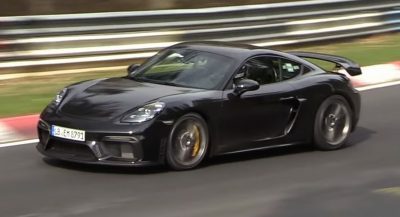 The aerodynamic package features carbon fiber elements for the front spoiler, which include the racing splitter and carbon fiber side wings, plus carbon fiber mirror covers. 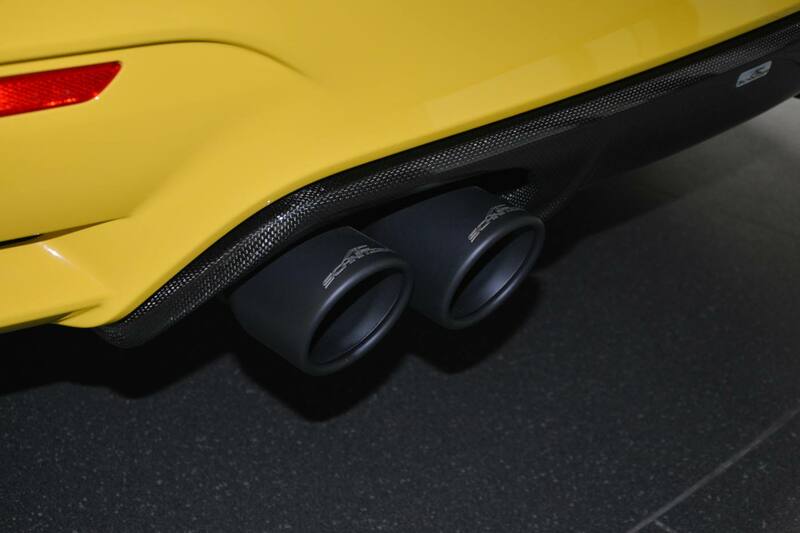 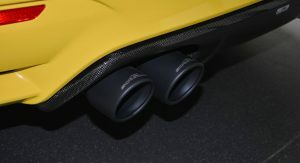 As for the AC Schnitzer exhaust, it usually features silencers, flap control and sound pipe – improving gas flow. 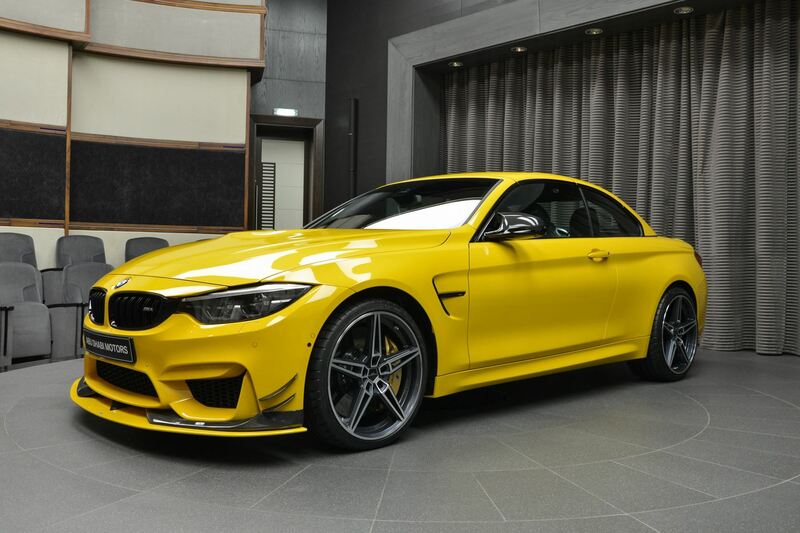 No word on whether or not this M4 had any other performance mods. 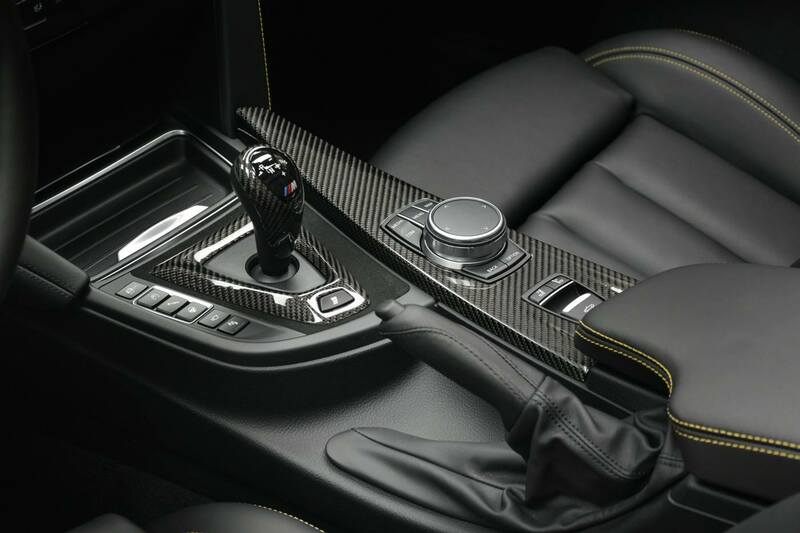 What it does have however is even more Speed Yellow inside the cabin (inserts plus contrast stitching), as well as carbon fiber on the center console. 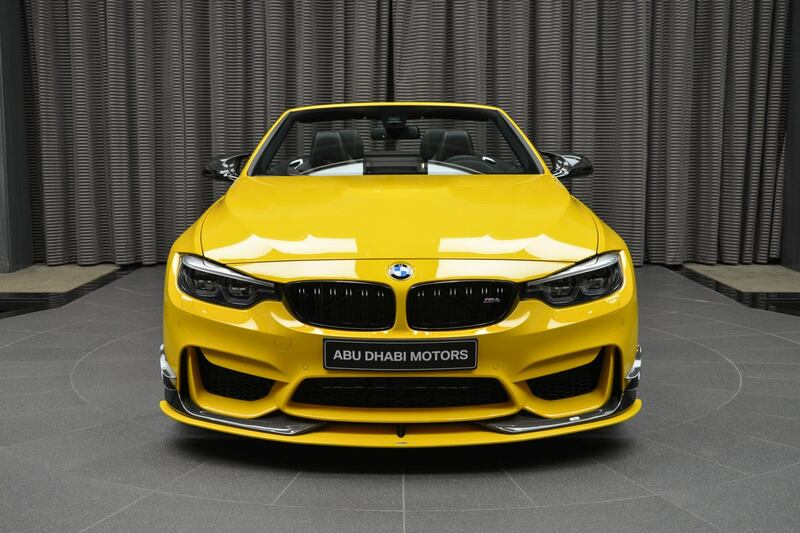 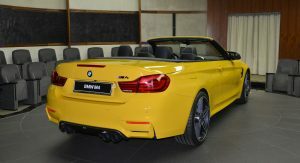 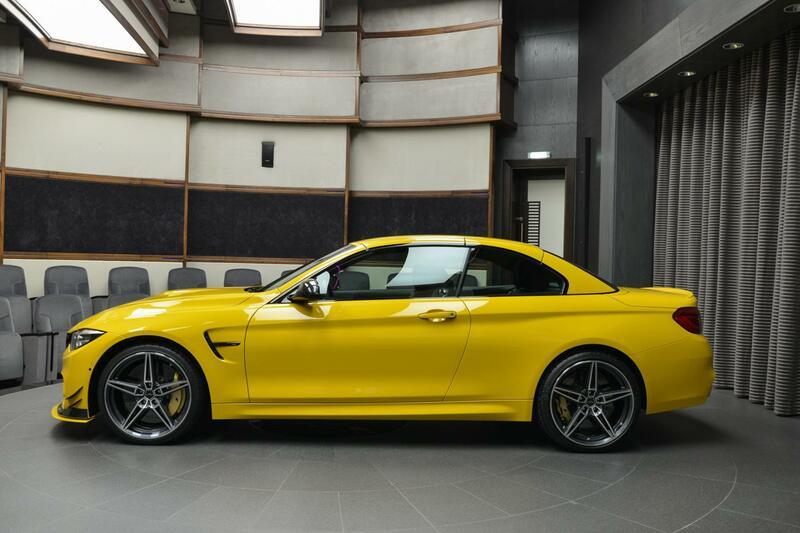 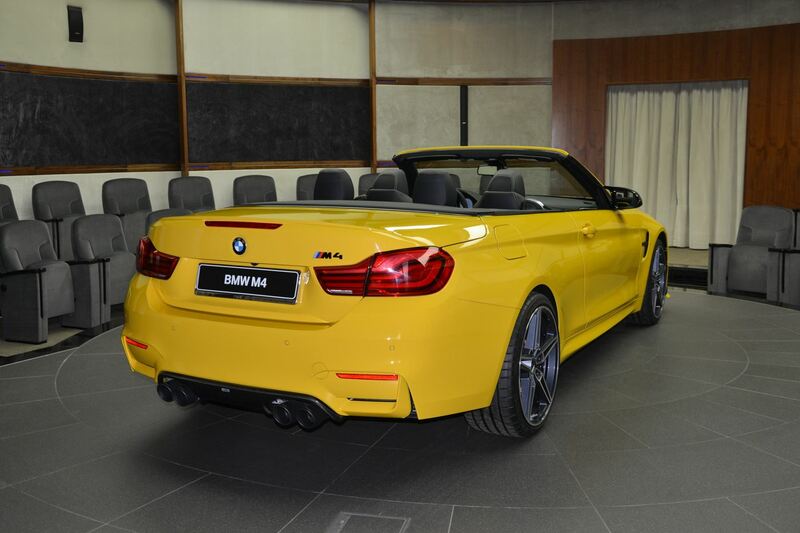 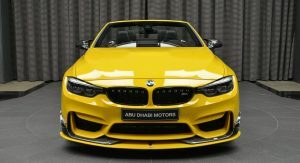 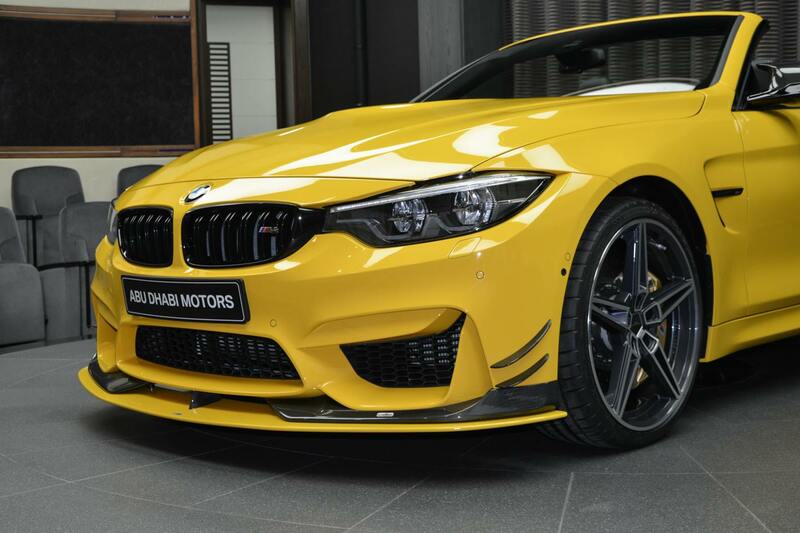 Now, if you’re a fan of the color, we’ll have you know that several Speed Yellow M-powered Bimmers have dropped by the automaker’s Abu Dhabi showroom throughout the years. 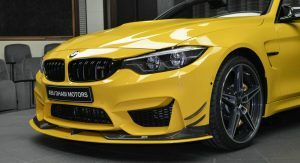 We’ve seen two M3s, one stock, another with an M4 GTS bonnet and spoiler, but also this M4 Coupe, packing an M Performance carbon fiber aero kit, black AC Schnitzer boot wing and a custom Armytrix exhaust. 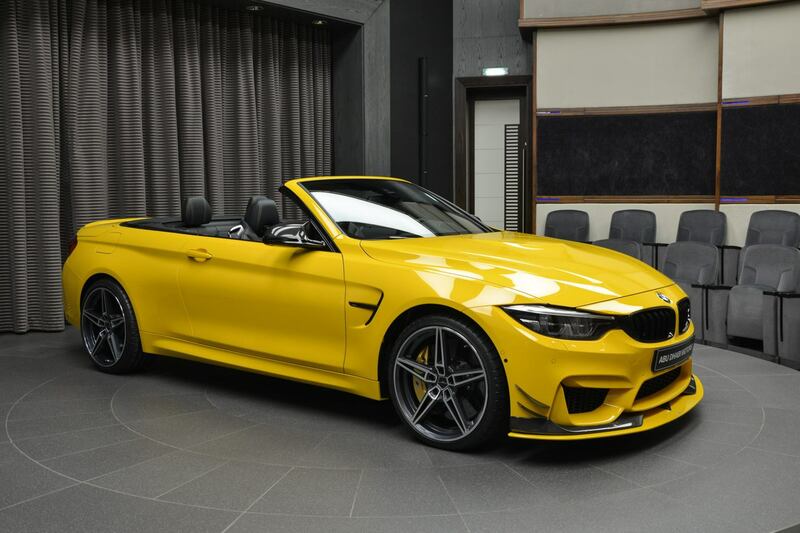 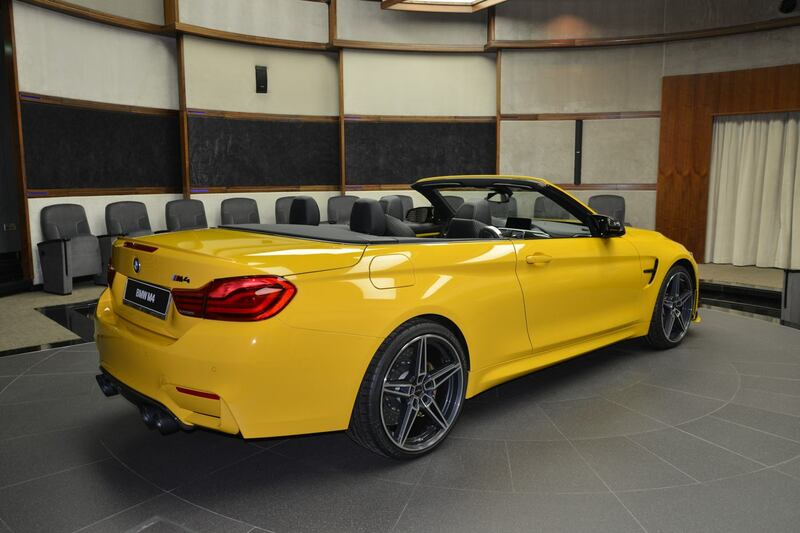 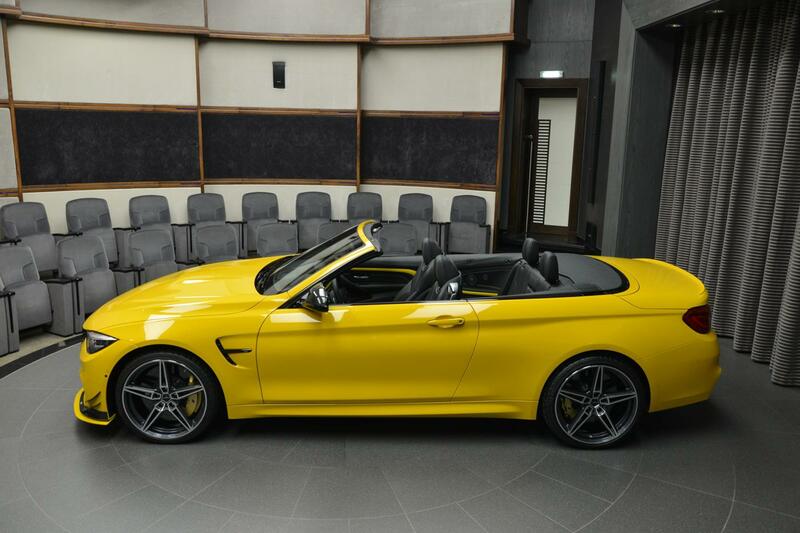 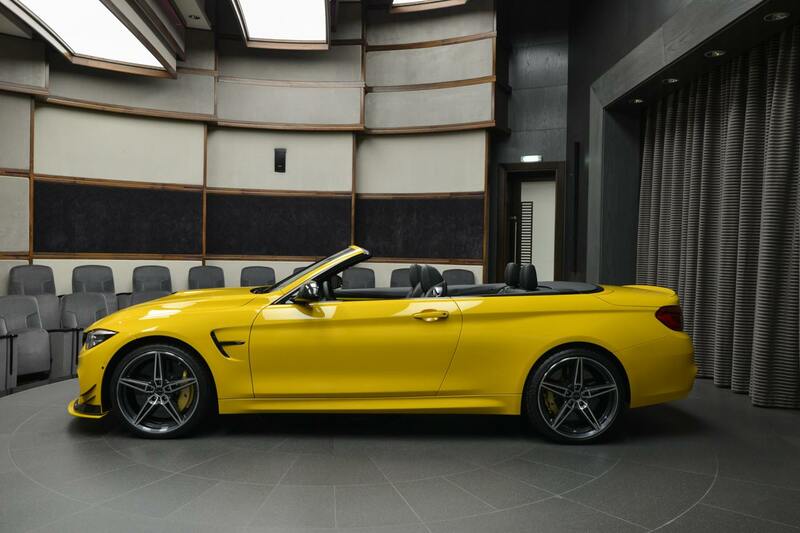 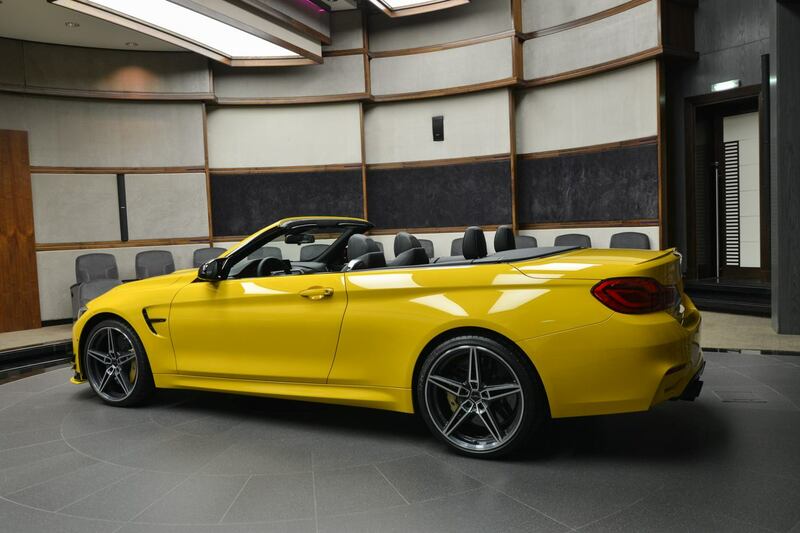 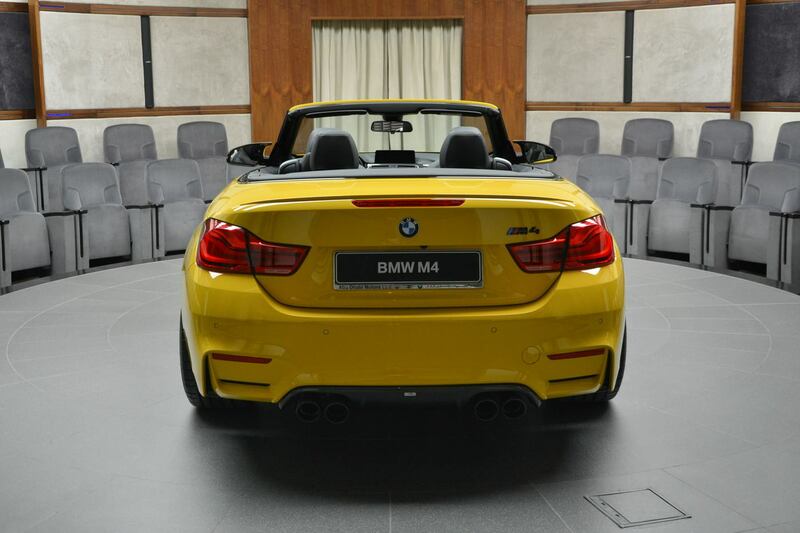 Does this drop-top M4 take the cake though?